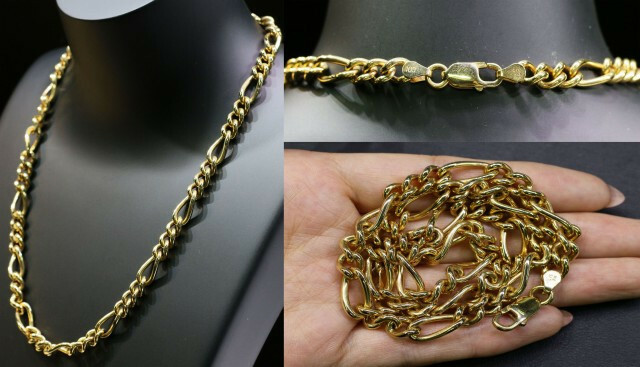 A chain is a connection of elements that form a fluid, linear sequence. Used for ship anchors and necklaces alike, chains can be durable, delicate, heavy or light and made of steel, iron, gold or silver. 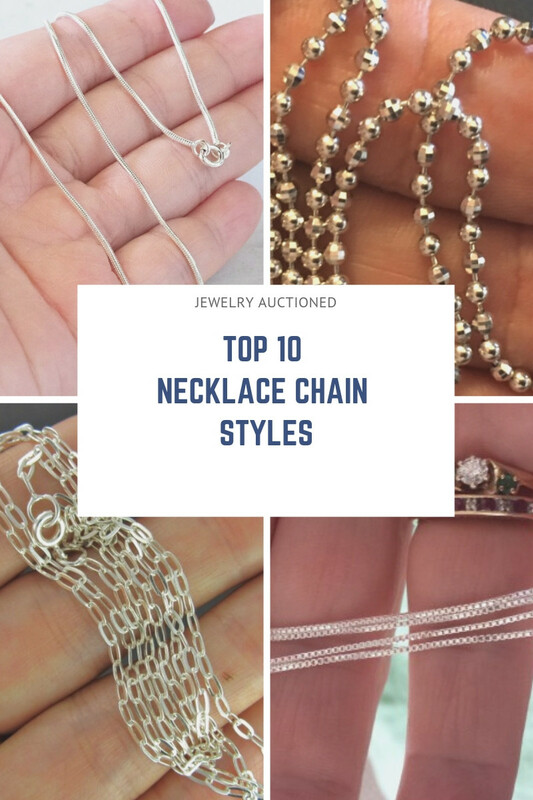 A chain represents an unbreakable connection, personified beautifully in these popular types of necklace chains. There are a myriad of necklace chain styles; some make a statement, whereas others compliment a pendant. With so many chain styles to choose from, how do you decide which one is right for you? We’ve got you covered! Here’s your guide to the most popular types of necklace chains available. Let’s link you to yours! If you’re looking for timeless necklace chain styles, here are the classics. Generally, these styles pair best with a pendant. The cable chain is one of the most popular types of necklace chains. In fact, they’ve been around for centuries! The understated design features a series of interconnected oval links, creating an elegant simplicity. 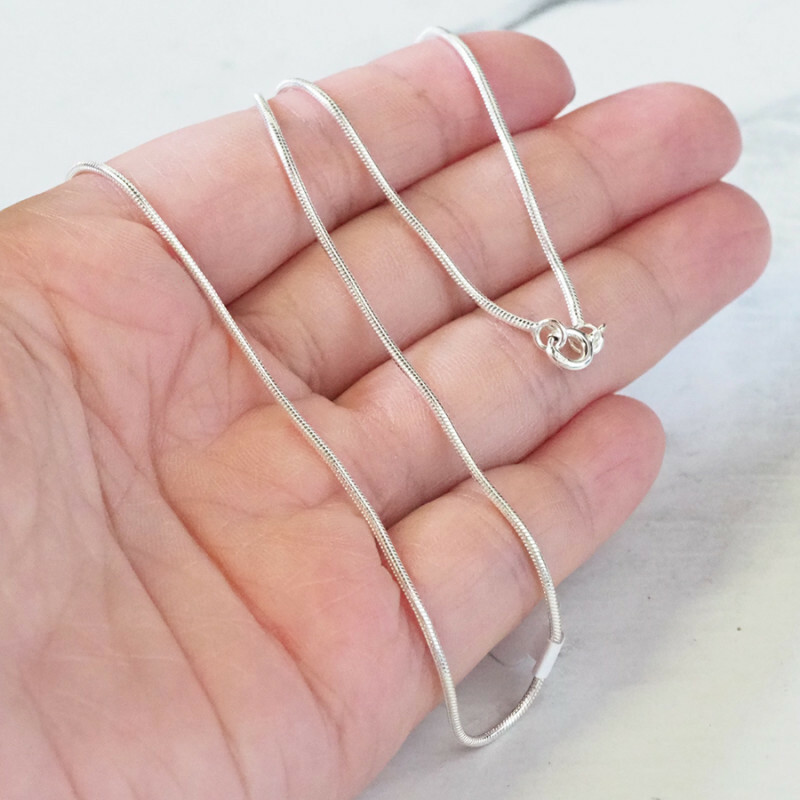 Not only is the delicate design flattering, but it’s also a sturdy chain that’s easy to repair if a link breaks. Simply put, it’s popular for a reason: it’s a classic! Think of the cable chain as a canvas: it’s simple, elegant and allows a pendant to shine. The curb chain is one of the sturdiest types of chains, and is popularly worn by men. 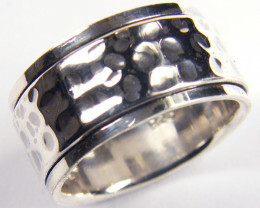 The design is made of flat interlocking links that are rugged and stylish. 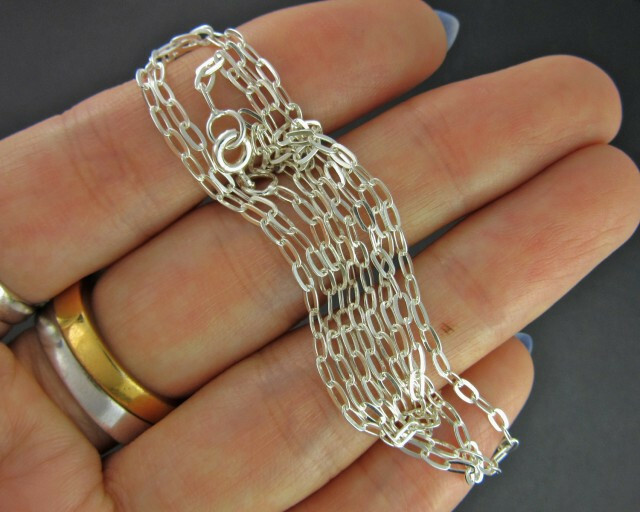 There are also thinner variations of curb chains that add a feminine touch and pair great with pendants. Ultimately, the sturdiness and utility of the curb chain make it a timeless design that’s built to last. If you’re in the market for a stylish statement piece, look no further than the rope chain! The design resembles a rope, with metal pieces linked into a continual twist that’s both flattering and strong. The construction is heavy and textured, making it one of the chain styles that’s built to last. The finishing touch is a robust sheen from the chain’s perpetual twist, which emits a gorgeous, eye-catching glimmer. Depending on the size and length, wear a long rope chain as a statement piece, or if it’s delicate, pair it with a pendant. Rope chains look especially elegant in rose gold. For a similar, woven effect with an added decorative design, try the Byzantine Chain. As the name implies, this chain features a unique nautical style that resembles the chain of an anchor. The anchor/mariner chain combines utility and fashion with connected oval links featuring a center bar. Classic mariner chain styles are flat, but a modern variation is the puffed mariner chain. If you love the sea breeze and all things maritime, this is the chain for you! 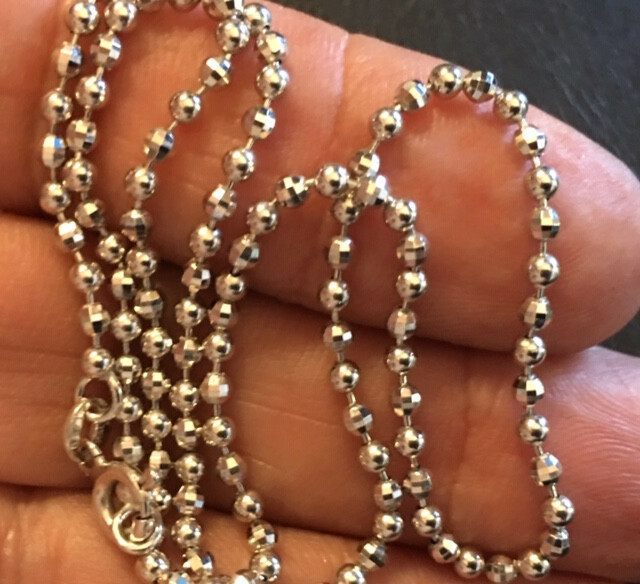 For necklace chain styles with an edge, allow us to introduce the ball/bead chain! This industrial, rugged chain is comprised of tiny beads linked together. 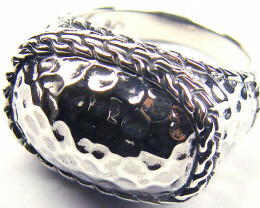 The straightforward style has variations in size and distance, with beads either being narrow and small or wider and large. You may recognize the ball/bead chain, which is popularly used for military dog tags. The bead chain creates an ultra-cool street style that adds an edge. For a unique twist, add a feminine pendant or jewel for contrast. If you’re looking for a little something extra, here are some unique necklace chain styles. 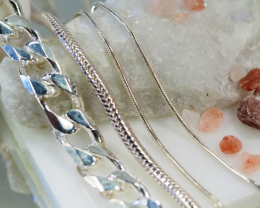 These styles stand alone as a necklace, or can be paired with a pendant. 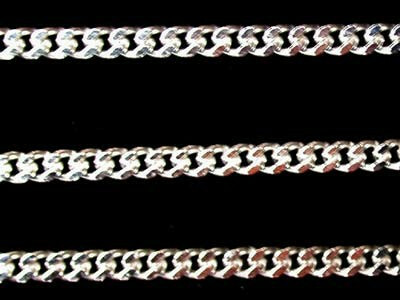 While most necklace chain styles consist of oval or round links, the box chain is made entirely with square links. Despite the angular shape, the composition of squares linked in an alternating pattern creates a fluid, continuous effect. Box chains are one of the strongest chains you can buy, and don’t easily break. 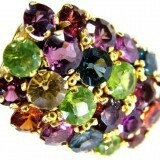 They come in an assortment of sizes, from small and delicate to large and chunky. Smaller box chain styles pair great with pendants and provide a delicate sheen. Alternatively, long box chains make a stylish statement piece. 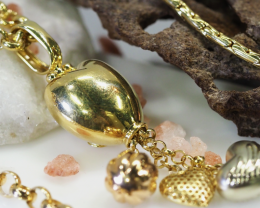 Some jewelry chain styles are designed to stand out, and the Figaro chain is no exception! 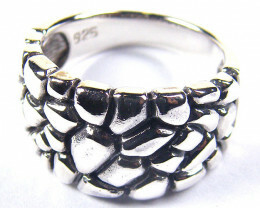 This unique Italian design features flattened links of various sizes connected into an alternating pattern. 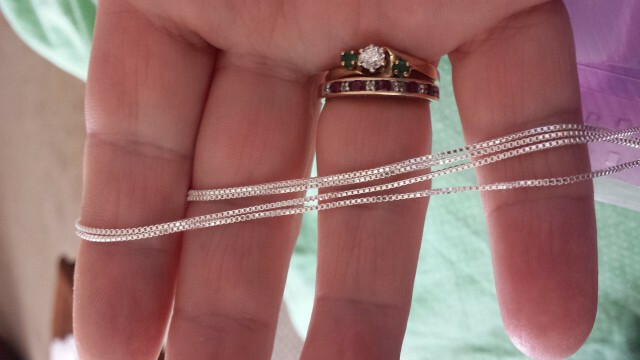 The Figaro chain is made from thick wire, and is not easily broken. The result is an elevated style combining weight and fluidity into a flattering necklace chain for both men and women. If you’re drawn to textured neck chain types, the spiga (wheat) chain may be for you! With oval links woven together into a twisting pattern, the spiga chain resembles the feathery tips of wheat stalks. The symmetrical structure of the plaited links provides balance, texture and rigidity that stands stylish on its own, but can also be worn with a pendant. If the curb and rope chains caught your eye, try the Singapore chain. 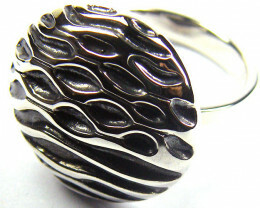 The interlinked metal elements twist into a pattern that glitters in the light, creating an attractive liquid effect. The singapore chain is truly eye-catching, and pairs beautifully with a pendant. Furthermore, the interlinked segments are strong, durable and perfect for daily wear. This sleek, minimalist chain is a no-fuss style that mimics the natural flexibility of a snake, hence the name. The close knit rings, bands or plates form a linear chain that’s smooth and fluid. 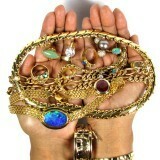 Conveniently, the snake chain is semi-rigid and won’t tangle or snag on hair or clothing fibers. With its gentle, non-textured design, the snake chain pairs perfectly with a pendant. If you like the look of the snake chain, you may also like the Omega and Herringbone chains. There you have it! 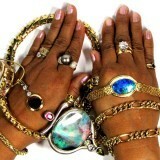 As you can see, there are many different types of necklace chains to choose from, each offering something special. A chain is a necklace, but it’s also a connection; choose one that echoes your personality and unique style. Now that you’re acquainted with the types of necklace chains, let’s shop chain styles!